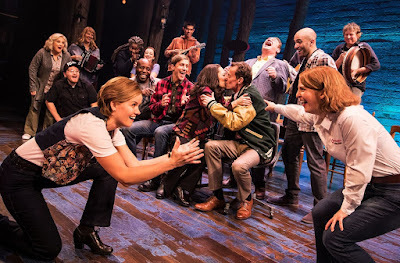 My one big recommendation this holiday season is an easy one – go see Come From Away at the Ahmanson. That’s it. 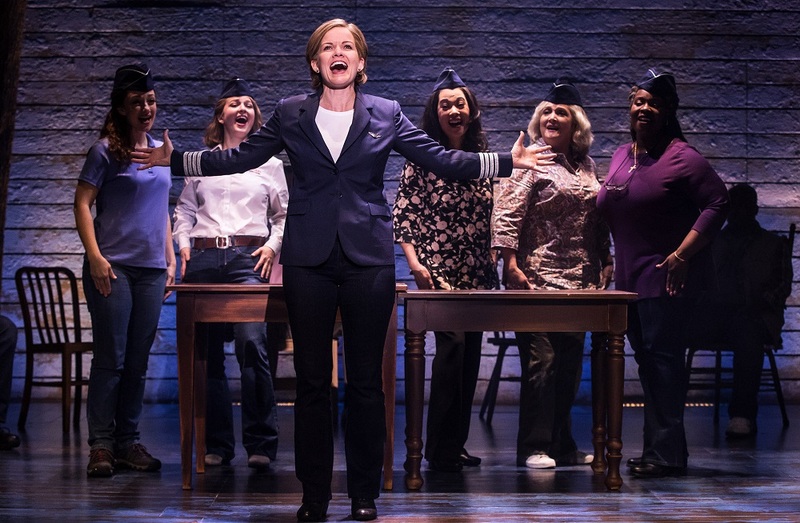 The world’s a tough place right now and this musical will restore your faith in humanity in every way possible. Best of all, it doesn’t do it with glitz and tricks and over-the-top extravaganza. 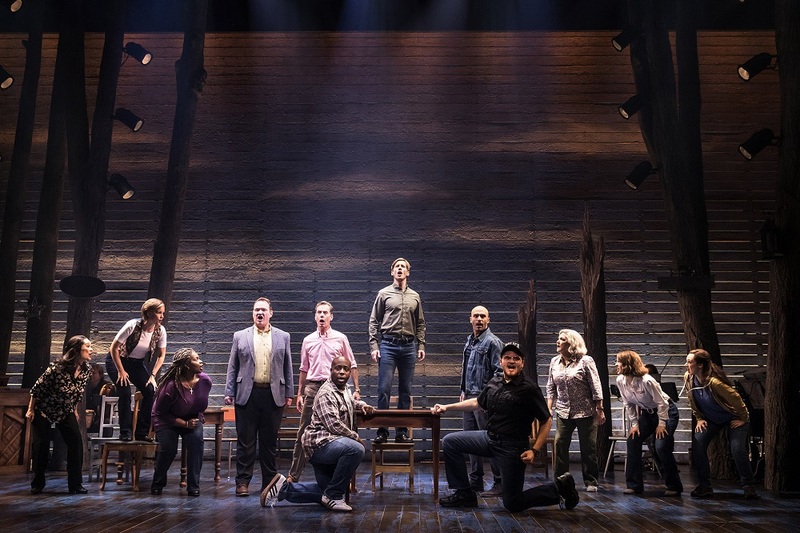 It does it by telling a story of simple people with good hearts whose kindness during a horrific disaster serves as an inspiration for us all. When 38 planes were rerouted to Gander, Newfoundland following the attack on the World Trade Center on September 11th, this small town cared for the thousands of frightened and confused “plane people” as if they were members of their own family. The world had never seen such selflessness but, in their minds, the citizens of Gander were just doing the right thing. It’s a lesson we desperately need to be reminded of this Christmas as we look around and find ourselves in the midst of a country burdened by divisive rhetoric and inhumane actions. 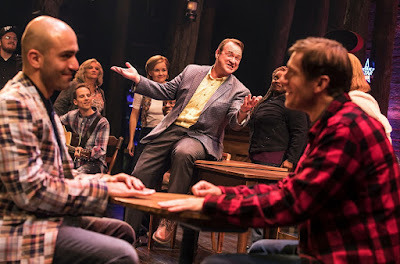 Writers Irene Sankoff and David Hein capture the spirit of the pragmatic, cheerful townsfolk in both story and score, the former narrated by characters speaking directly to the audience and also recreating the various quick-cut scenes, the latter a jovial blend of folk, Celtic, and upbeat rock themes with straightforward lyrics. Thankfully, there isn’t a pretentious bone in this musical’s body. It unfolds on a simple but beautiful set, designed by Beowulf Boritt and lit by Howell Binkley, that functions as a scrolling canvas against which scenes play out like a collage come to life. 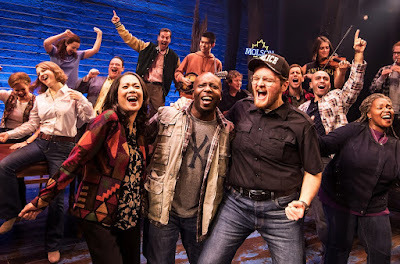 The driving forward motion of the show succeeds in adding urgency without turning melodramatic. And, at its center is a big, old beating heart that encompasses everyone within its reach. 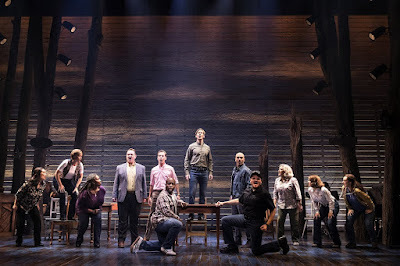 Christopher Ashley won a Tony Award for Best Direction of a Musical for his work on Come From Away and watching how he weaves together all of the elements so intelligently, and with such sensitivity, is worth the price of admission alone, but it doesn’t stop there. 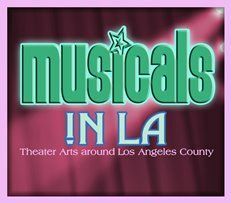 The acting company offers one of the finest examples of ensemble integration in a musical, with each of them an essential part of the show. 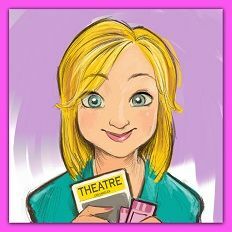 Most play multiples roles, swapping characters and accents with detailed precision. Each of their stories lands its own blow to that swelling heart, from Becky Gulsvig (Beverly), singing about the incredible feeling being “the first female American captain in history” to James Earl Jones II (Bob), who is sent to take barbeque grills from all of the locals’ backyards convinced he is going to get shot, to Nick Duckart, the Muslim chef humiliated beyond belief in the interest of security. Two mothers (Julie Johnson-Beulah and Danielle K. Thomas-Hannah) find solace in their shared understanding of what it is to have a firefighter son, while two other passengers (Christine Toy Johnson-Diane and Chamblee Ferguson-Nick) unexpectedly find romance. Mayor Claude (Kevin Carolan) and Garth (Andrew Samonsky), head of the bus drivers’ union, clash over local differences but are quick to set them aside to assist their “come from aways” (what islanders call anyone not from their town) during the emergency. Even the animals find a champion in Bonnie (Megan McGinnis), a resolute young woman who isn’t about to let anyone stop her from caring for their needs as well. 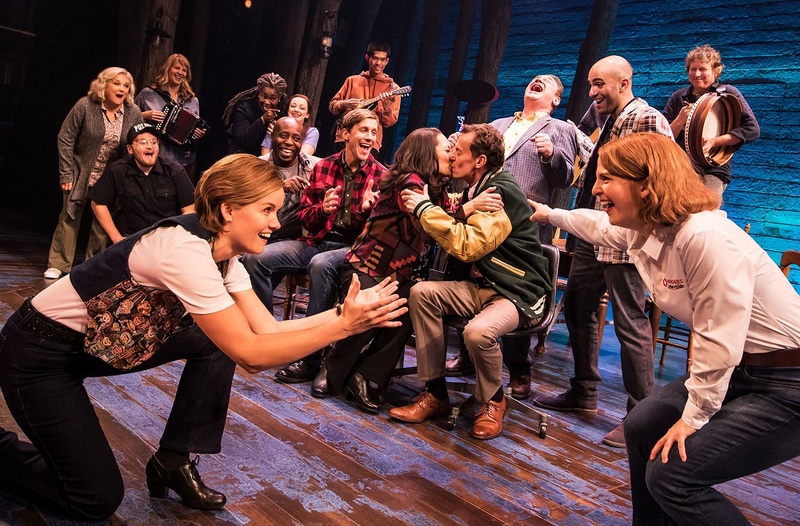 The generosity of these kind and quirky characters, and all of the others brought to life in Come From Away, give hope that there are good people in the world who know what it is to be a decent human being. Kindness takes courage and, in a time of adversity, the islanders of Gander, Newfoundland showed the world a shining example of what is best in us all. As we continue to celebrate the holidays, with their messages of peace on earth and goodwill to all, may we not forget how much it is still needed now.